June | 2012 | YesBiscuit! Distracting the public from the way things are by focusing on the way things look doesn’t seem to be working. Dog wearing padlock at Memphis pound on Saturday, June 30, 2012. During the summer heat, keeping pets inside an air-conditioned environment is ideal but not possible for some owners and shelters. Here are a some tips for keeping dogs and cats safe and cool in the hot weather. We are not on a stationary planet. As such, the places that provide shade in your yard in the morning will not be shady in the afternoon. A dog house is not adequate shade – more like a place to bake bread. Dogs left outdoors during daylight hours in the summer must have access to shade all day long. Anything left outside in this weather heats up, including buckets of cold water. It is not enough to put out a bowl of cold water in the morning – the water bowl must be rinsed of debris (insects, pine straw, etc.) and replenished throughout the day. Some dogs will dunk their heads in their water buckets in an attempt to cool down which further dirties the water. Buckets should be kept in the shade to reduce algae formation and the time it takes for the water to heat up. 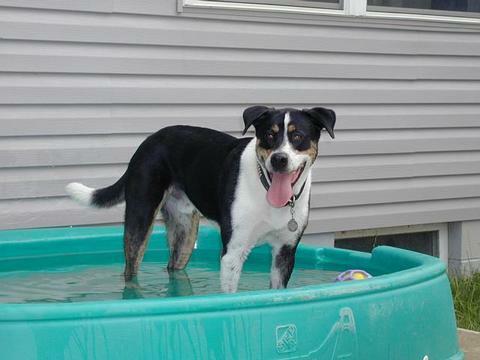 Many dogs enjoy having the sprinkler left on or wading in a kiddie pool. Even dogs who don’t enjoy these activities will sometimes roll around in the wet grass that’s left in the aftermath. We have both kinds of dogs at our house so everybody gets some manner of cool down they enjoy. Here’s Bernice Clifford from the Animal Farm Foundation showing how to make ice bucket treats for dogs. They’re cool, they provide enrichment for bored dogs, they’re cheap and easy – suitable for owned pets and shelter pets. Kibble dehydrates pets. If possible, feed dogs and cats light meals (some pets will reduce the amount of food consumed naturally in hot weather) of home prepared or canned pet food during a heat wave. This reduces the amount of water they need to consume. Dogs in cars – just say no. I know readers will have more good tips for keeping pets safe and comfortable in the summer heat. Please share in the comments. Pets Alive in NY has a live feed of kittens at their shelter! Still from the kitten room cam at Pets Alive. 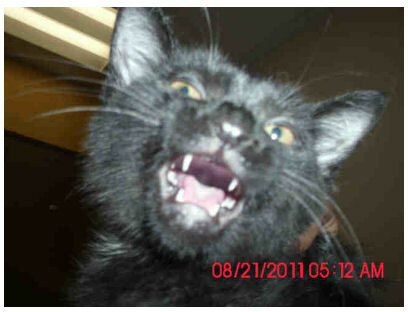 Kitten ID #A241220 being scruffed at the Memphis pound, as pictured on PetHarbor. 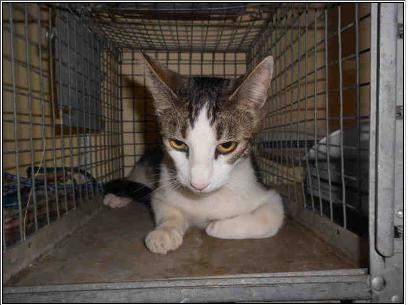 Cat #A098641 at the Sutter Co pound, as pictured on PetHarbor. Some good news for feral cats at the miserable pound in Sutter Co, CA: Beginning September 1, healthy community cats will no longer be accepted by the pound. As I’ve said many times, I see no justification for impounding feral cats anywhere – unless it’s a temporary impound as part of a TNR program – so I’m glad to see Sutter Co stepping up. I hope they will develop a comprehensive TNR program in partnership with the community in order to further advance this effort. In order to have a significant impact on that feral population, half of them would have to be captured and euthanized – or 75 percent would have to be captured, sterilized and then let go again. It’s not clear to me if that claim is attributable to Kate Hurley, director of the UC Davis Shelter Medicine Program, who is quoted in the article in connection with her work at the pound. Regardless of the source, I know of no study indicating that killing half of a community’s cats would result in a “significant impact” on the population. Obviously killing half of any population reduces it temporarily but as far as having a meaningful impact goes, I interpret that to mean something measurable in the long term. Anyone? 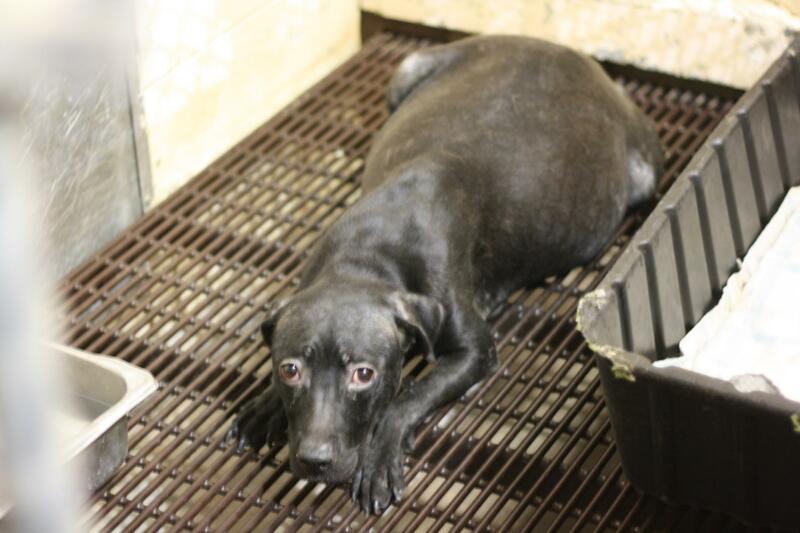 [T]here are several acts by Ms. Tucker which involve improper accounting of monies given to her as donations, failure to make proper dispositions and accounting of property that she had possession of as the animal control officer here in Caldwell County. 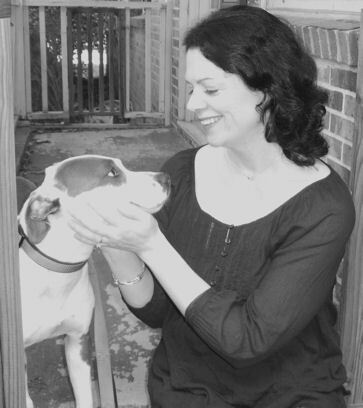 Improperly inducing donations to the animal shelter,” [Commonwealth Attorney G.L.] Ovey said. Ms. Tucker, who is also a police officer, has additionally been indicted on the submission of false pay vouchers for county employees. She is currently on paid suspension and set to be arraigned in August. The Charlotte-Mecklenburg pound, the place that brought you such classics as The Drugged Kitty Photo-Fest and Oops – We Killed A(nother) Pet, brings you this posting on Facebook. Read it and weep. 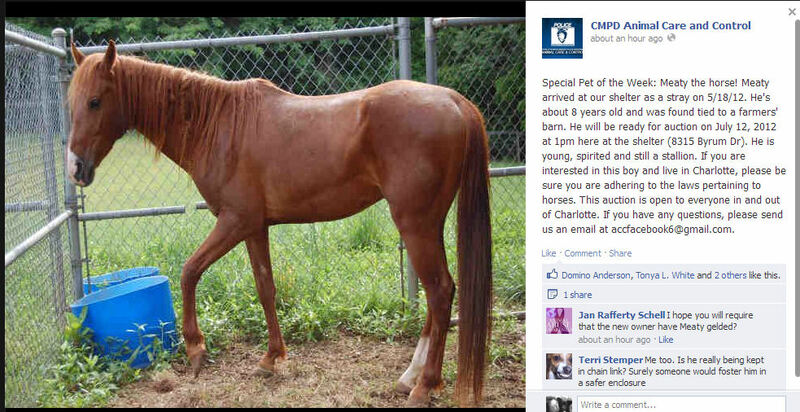 Facebook post from CMPD ACC on June 27, 2012. Yup. It’s a promo for a stray horse they named MEATY. They are auctioning him. Aren’t these folks just fall down funny? Let’s look at President Mr. Rogers’ march toward excellence. The MAS kill rate for March was 61%; April was 58%; May was 68%. During his first three full months as interim director, Mr. Rogers has overseen the killing of approximately 62% of the pets he is paid to protect. Bear in mind that all this needless killing has occurred while cages at the pound sit empty. At the last public meeting on June 13, Mr. Rogers told concerned advocates that the pound’s capacity is 555 animals but due to a shortage of employees, the capacity to care is 356 animals. He said he is down 3 technicians. Gee, if only the 3 staffers indicted on animal cruelty were still on the job, the pound could “care” for more pets. I presume the city of Memphis is suffering the same economic woes as the rest of the nation and is bursting at the seams with skilled people desperate for jobs. Is the city really contending that no one in Memphis wants a union job with city benefits that starts immediately? This morning there are only 265 animals listed on the MAS PetHarbor site. 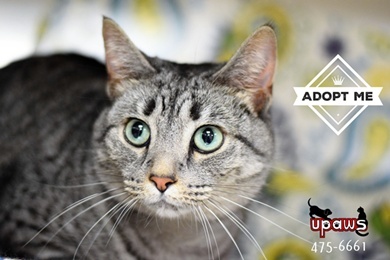 Of those, there are 14 adoptable cats, 14 adoptable dogs (although just 11 have photos) and 1 raccoon. MAS has the ability to easily update records on every animal in its care in real time via its Chameleon software’s interface with PetHarbor. Why are there only 265 pets listed? Even if we were to buy into the idea (which I don’t) that no one in Memphis wants a job at MAS, why isn’t the pound at least caring for the 356 pets for whom Mr. Rogers says he has sufficient staff? What about the free labor provided by inmates at the pound – doesn’t that increase the capacity to care? Why is MAS turning away volunteers during this crisis? Shelter pets are being killed in Memphis while cages sit empty, MAS jobs remain vacant and offers of volunteer help are, at best, ignored. Where is the accountability? Is this excellence? Adoptable dog #A242597 at the Memphis pound, as pictured on PetHarbor. 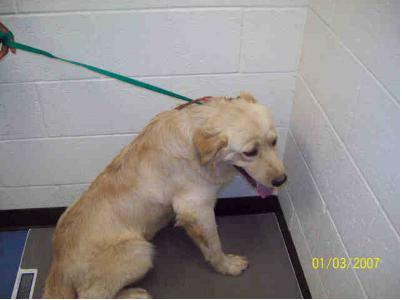 The image of the taut leash and anxious expression on this poor dog as he tries to escape into the corner, was dated 1-3-2007 by the impounding ACO before posting. Excellence. 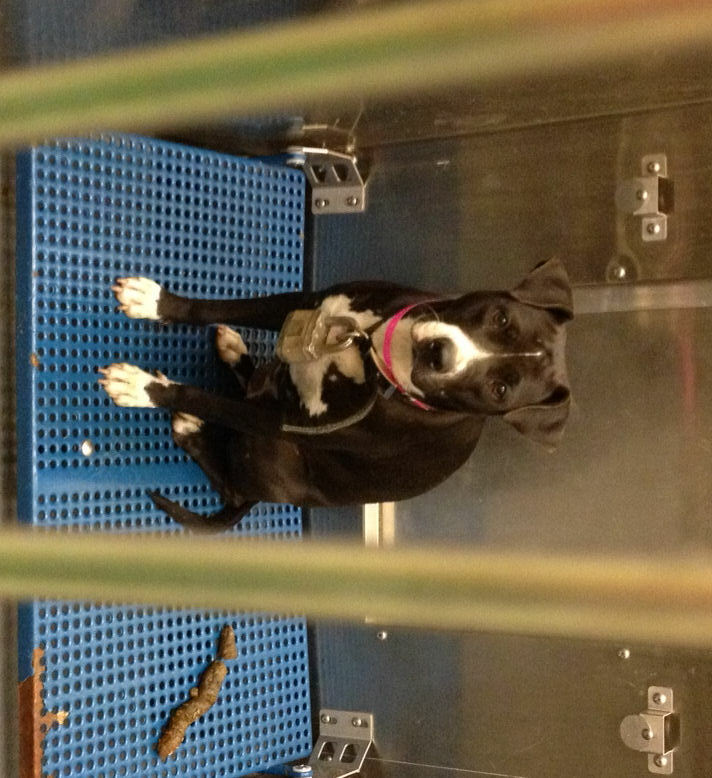 Pregnant dog at DeKalb Co pound in Decatur, GA, as pictured on Facebook. There are some animal welfare advocates who find shelter pet killing acceptable as long as it meets some arbitrary criteria such as, “the shelter is killing less than they used to” or “the shelter is transitioning to no kill/low kill/a new director” etc. The most common excuse offered is “these things take time”. While I agree that putting all the programs of the No Kill Equation into place takes time for any shelter, I don’t agree that killing shelter pets is OK. I know of no reason why every shelter in the country could not stop killing pets today. Yes, it would take them some time to fully develop the programs that will ensure sustainability. And many would be plunged into crisis mode due to a larger than usual number of animals in the short term. But this is no different than when a shelter takes in a large number of pets displaced by natural disaster or seized from a cruelty related case. The same programs which will sustain the lifesaving can be called upon for crisis response, even before they have been fully developed and implemented. One program in particular is uniquely positioned to help save lives during an immediate population expansion: Public Relations/Community Involvement. Shelters unexpectedly taking in large numbers of animals know this and that’s why you see them on the news and in the paper when these events happen. They know that the public will step up when called upon to help save pets. It would be no different in the case of putting an immediate end to the killing except that the shelter would be in the unique position of going to the media with the outstanding, once in a lifetime announcement that pets are no longer being killed at the shelter. The community can be called upon to help save lives both in the short term and in the long term. It is astounding to me that many advocates are willing to accept the misery and chaos of desperately working to save animals from kill rooms at shelters every day yet reject the idea that shelters could simply stop the killing. I understand that change can be daunting but really, how bad could it possibly be? The bar has already been set for many rescuers at misery and chaos, anything above that should be a welcome change. Even if the worst case scenario came true and animal advocates had to scramble, beg, and borrow in order to get pets out of the shelter during the short term population crisis, wouldn’t it be worth it to endure that temporary misery and chaos, knowing the future would be much brighter for shelter pets? Rescuers are already operating this way 365 days a year with no foreseeable end in sight. 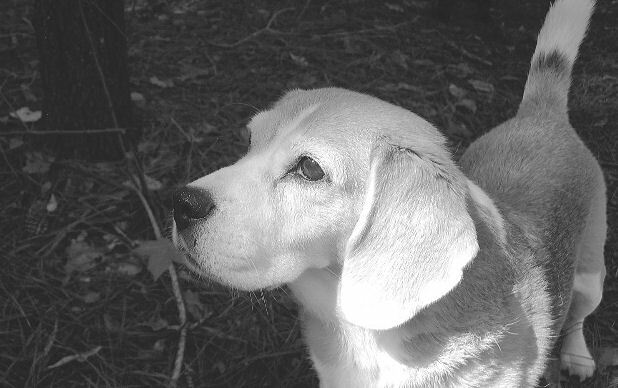 Is there anything to lose by trying a different way – that is, ending the killing of shelter pets? 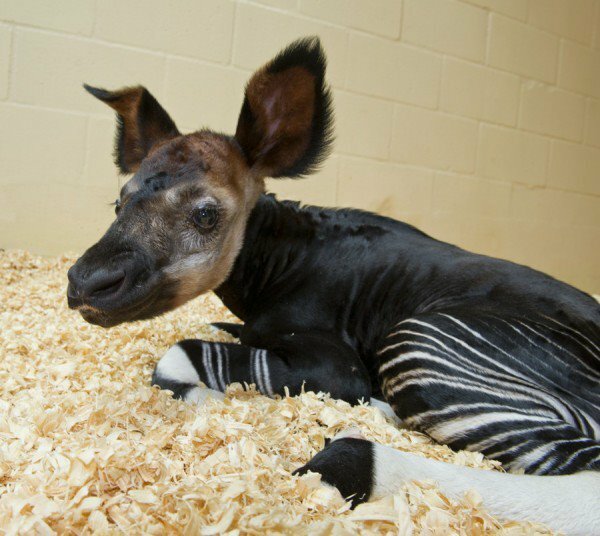 Share animal related links, questions, stories and miscellany.